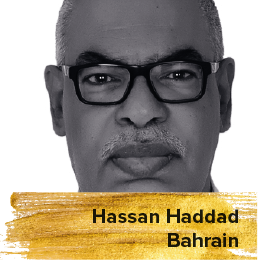 Bahraini film critic Hassan Haddad started his career as a writer in 1983. He writes articles and studies on cinema for many Bahraini and regional newspapers. He wrote four books, the last of which was published in 2013.